Play was a band formed by Wayne Kennedy and David Rome. They recorded only few singles in 1982/1983 for Survival Records, label which started in 1980 specialising their catalog in electronic dance music (Drinking Electricity, Hard Corps, and Richard Bone) and charting with Tik And Tok. In the mid eighties they moved toward rock music finding success with The Quireboys and then in 1990 they signed the Celtic band Capercaillie and have been working with them both as a band and with their individual careers ever since. David Rome previously had worked with the recently passed Martin Lloyd in the group Analysis (later evolved into Oppenheimer Analysis) as well as was the founding member of Drinking Electricity (also reissued on Medical Records) along with Anne-Marie Heighway. 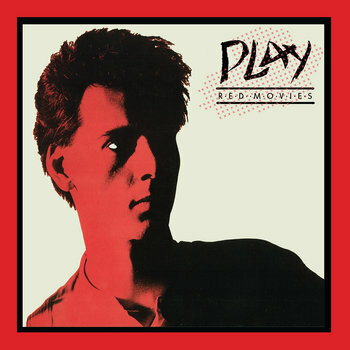 Medical Records is reissuing their compilation "Red Movies", which has been originally released in 1985 and which gathered most of their singles plus two extra tracks (the 12"s version of "You Don't Look The Same" and "In My Mind"). The music of the duo was a perfect blend of new wave with electronic inserts (synths and drum machine) and to me they recall a bit some atmospheres of the best Comsat Angels tracks mixed with the new romantic touch of Midge Ure's Ultravox (check "Chasing The Sun"). Songs like "You Don't Look The Same" are just perfect with their melodic lines and their being in balance from pop catchiness and dark atmospheres. This reissue comes in 'half and half' 180gr colored vinyl (blue and red). Check all the tracks here http://medicalrecords.bandcamp.com/album/red-movies-mr-026 and purchase your copy!